LED and neon lighting are flagship products for us. They represent an opportunity for clients to create maximum day and night exposure through high-profile signage that is robust and easy to maintain. We’ve invested over 20 years to LED and neon research and development. Our knowledge of the technology and its best applications has enabled us to improve the performance and serviceability of our products and lead the way in low consumption LED lighting and LED moving picture messages. Our own custom coloured aluminium composite (ACM) cladding solution. We believe in providing our clients the solutions they require. Whether it be a cost effective alternative, a consistent rollout colour and a quality product that will hold its colour and condition for the duration of its lifespan. Our Benclad is a 4mm think 0.5mm skin ACM with a 2K paint finish. We have the ability to provide a PE or Fire Rated (CSIRO approved) core depending on the application and standards required. Speak to us about the solution that is right for you and your branding. 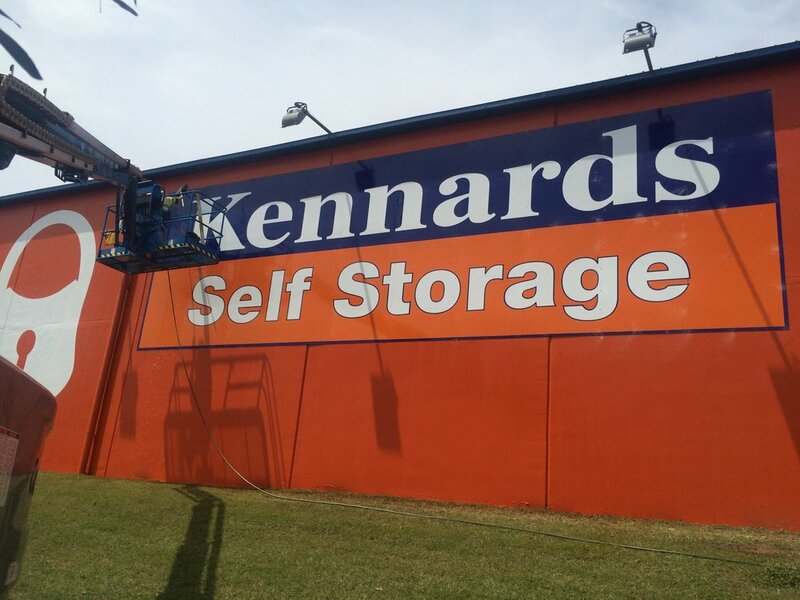 Protecting your signage assets against the elements and prolonging the life and integrity of your signage is as important as servicing your fleet, machinery or computer systems. Flickering lights and worn out paint give a dilapidated impression. We understand the importance of maintaining the appearance and functionality of your signage investment. Consistency is an important aspect of how a brand is represented, and our national coverage enables us to scale our maintenance programs accordingly.